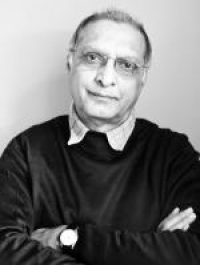 Documentary photography stalwart, Omar Badsha has a long history as a political and cultural activist. Most of his recent work has centered on the development of the website South African History Online which he founded. 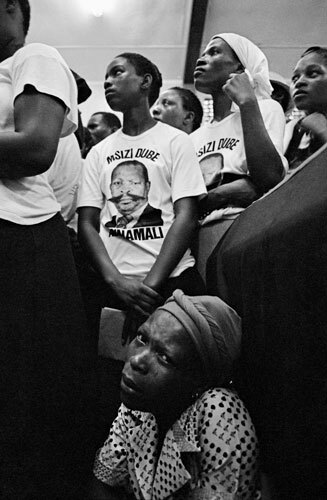 2002: Omar Badsha (ed. ), Amulets and Dreams: war, youth and change in Africa, SAHO, ISS & Unisa Press (photographs by Guy Tillum & Omar Badsha, text by Julia Maxted). 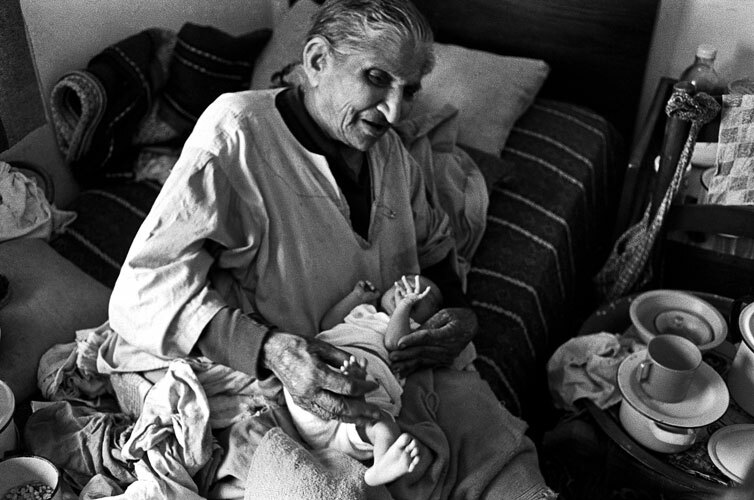 2002: Omar Badsha (ed. ), With Our Own Hands: Alleviating poverty in South Africa, Department of Public Works. 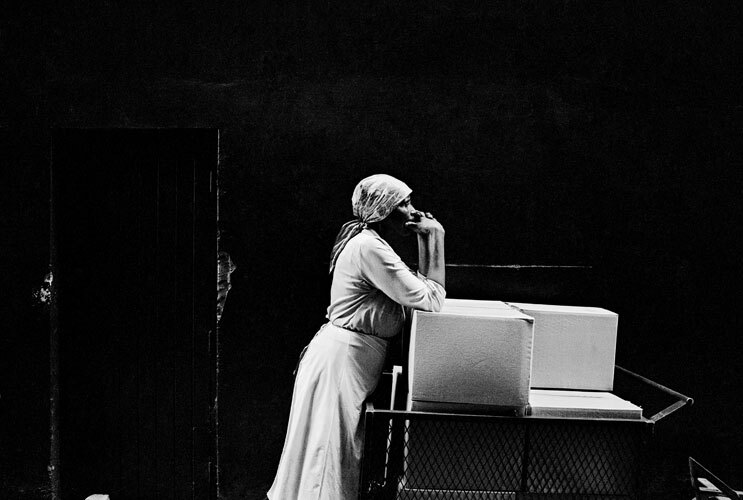 2001: Omar Badsha, Imperial Ghetto: A Way of Seeing in a South african City, South African History Online. 1989: Iris Tillman Hill & Alex Harris (eds), Beyond The Barricades: Popular Resistance in South Africa. 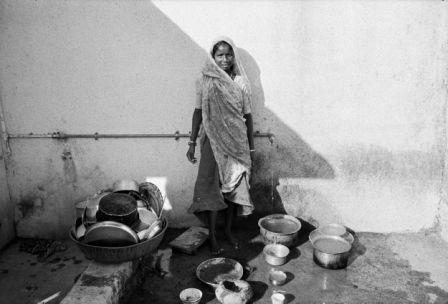 Photographs by Twenty South African Photographers, Aperture Books in association with the Center for Documentary Studies at Duke University, New York (Photographs selected by Omar Badsha, Gideon Mendel & Paul Weinberg). 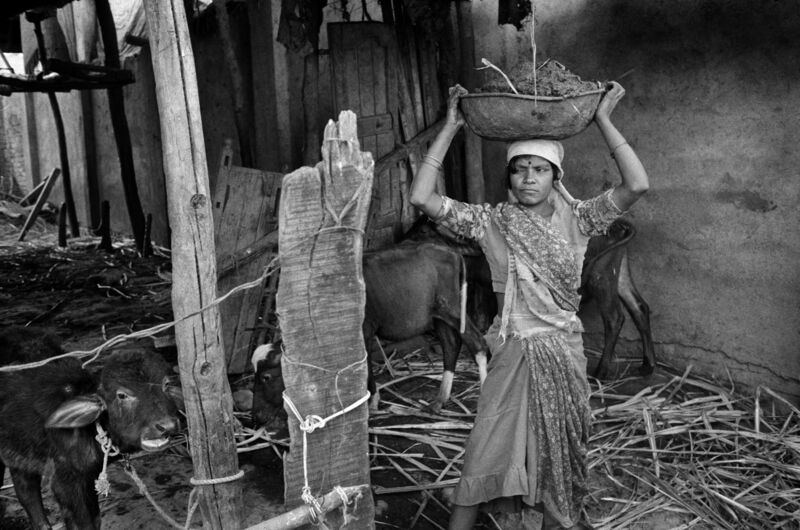 1986: Omar Badsha (ed. ), South Africa: The Cordoned Heart. Twenty South African Photographers, Gallery Press, Cape Town & W.W. Norton and Co., New York (Text by Francis Wilson). 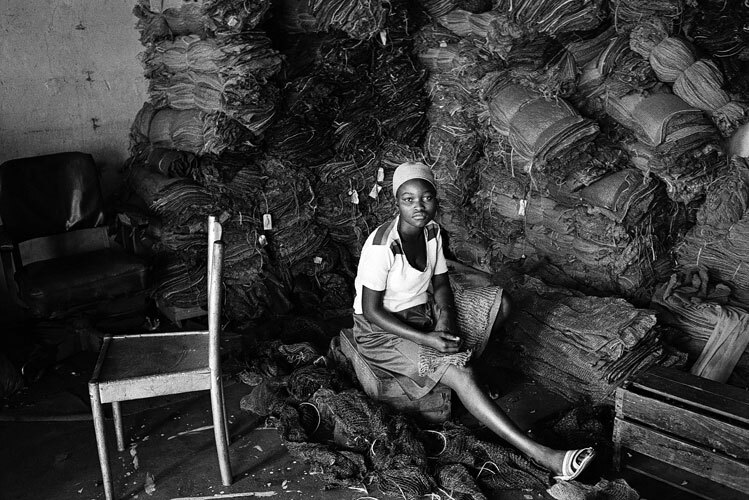 1985: Omar Badsha, Imijondolo – A Photographic Essay on Forced Removals in Inanda, KwaZulu-Natal, Afrapix. 1984: Omar Badsha & Roy Padayachee (eds), 90 Fighting Years. A Photographic History of the Natal Indian Congress (NIC). 1978: Omar Badsha, Letter to Farzanah, Institute of Black Research, Durban. 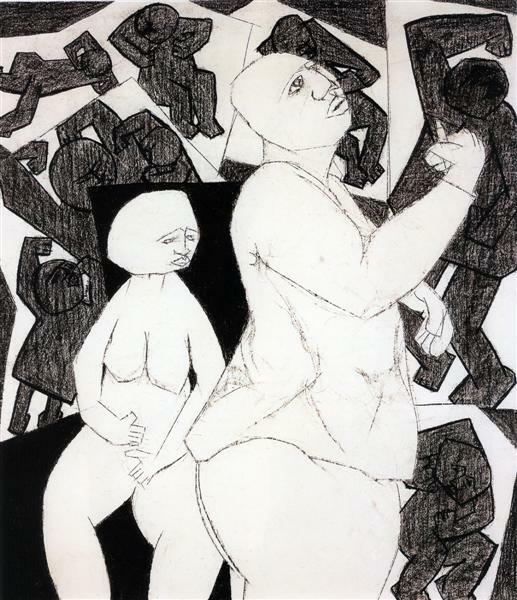 2006: Retrospective, Durban Art Gallery (DAG). 2004: Narratives, Rituals and Graven Images, Tehran, Iran. Oslo. 2002: Imperial Ghetto, Alliance Ethio-Francaise, Addis Ababa. 2001:Narratives, Rituals and Graven Images: A Retrospective, Iziko South African National Gallery. Imperial Ghetto, DAG. 1995: Images of Denmark, Copenhagen City Hall. 1990: On Education, Centre for African Studies, University of Cape Town. 1987: Shell Gallery, Cape Town. 1983: Imijondolo, Market Photo Gallery, Johannesburg; Medical School, University of Natal; History conference, University of Natal; and Merebank Public Library, Durban. 1981: Market Photographic Gallery, Johannesburg. 1979: Letter to Farzanah, NSA, Durban; and Pietermaritzburg Public Library. 1970: Artists Gallery, Cape Town. 2010: (With Ebrahim Badsha), DAG. 1910-2010: From Pierneef to Gugulective, Iziko South African National Gallery (ISANG), Cape Town. 2009: Precedents and Currents, Mayibuye Centre, UWC, Bellville, Cape Town. 2007: Africa South, Association for Visual Arts, Cape Town. 2005: ReVisions: Expanding the Narrative of South African Art, ISANG. A Place Called Home, Durban, Cape Town, and Johannesburg. 2003: Freedom ZA, Castle, Cape Town. 2002: (With Guy Tillim) Amulets and Dreams: war, youth and change in Africa, DAG. Bonani Africa Festival of Photography,Museum Africa, Johannesburg, & Pretoria Art Gallery. 2000: University of South Africa. With Our Own Hands, Johannesburg. 1996: National Women’? ?s Day Exhibition, House of Parliament. Cape Town Festival, Centre for the Book. Portraits, ISANG. 25 years of Photo-Journalism, Cape Town & Johannesburg. Photo Synthesis Contemporary South African Photography, Grahamstown Festival. 1992: Visual Arts Group Travelling Exhibition, Zolani Centre, Nyanga East; Uluntu Centre, Guguletu; Manenberg Peoples Centre; South African Association of Arts, Cape Town. 1991: African National Congress National Conference, Durban. 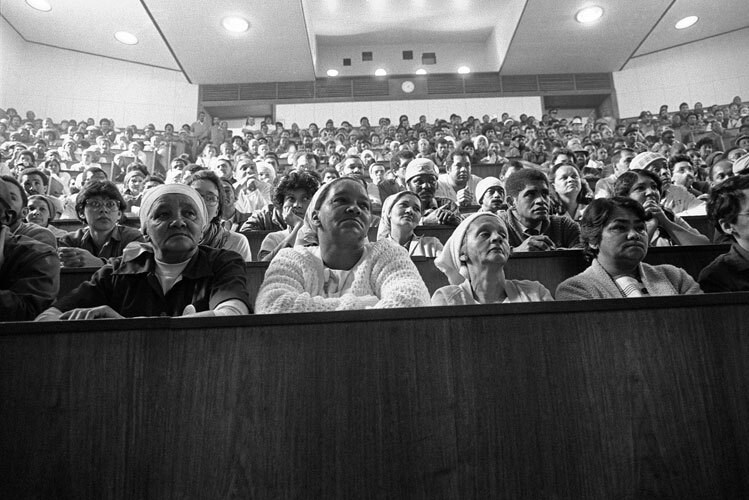 1988: Human Rights Conference, Port Elizabeth. Human Rights Festival, Durban. Documentary Photography Conference, Cape Town. United Women’s Congress (UWCO) Festival, SAMAJ Centre, Cape Town. Staffrider 10th anniversary, Market Gallery, Johannesburg. 1987: History workshop, University of the Witwatersrand Johannesburg. 1986: South Africa in Conflict, End Conscription Campaign, Baxter Theatre Cape Town. Weekly Mail Book Week, Cape Town. 1984: NSA, Durban. Staffrider Annual Exhibition, Johannesburg. History Workshop, Wits University, Johannesburg. (With Paul Weinberg), NSA. South Africa: The Cordoned Heart, UCT. 1983: South Africa Through the Lens, Johannesburg. 1982: We Photograph, DAG. Imperial Ghetto, Nuffield Gallery, Durban. Photostatements, SANG, & touring. Creative Arts Society, University of Durban-Westville (UDW). Cultural Festival, Bosmont, Johannesburg. Cultural Festival, Allan Taylor Residence, University of Natal. 1980: You Have Struck a Rock, Women and Resistance in South Africa, Durban & Cape Town. 1978: Some South African Photographers, DAG. 1972: (With Mahomed Timol & Duke Ketye), NSA. Natal Contemporary Art, DAG. 1971: (With Wiseman Mbambo), NSA, Durban. (With David Cremer & David Wilmot), Durban. Art South Africa Today, DAG. 1968: Cape Town. Annual Members Exhibition, NSA. 1966: Artists of Fame and Promise, Johannesburg. (With Dumile Feni, Shareen Timol, Abdul Kadar Motala, Bill Ainslie & Durant Sihlali) Trans Natal, NSA. 1965: Art South Africa Today, DAG. 2009: South-South: Interruptions & Encounters, Justina M.Barnicke Gallery Hart House, University of Toronto. 2006: University of De Quilmes, Argentina. Black Brown White, Kunsthalle Wien, Germany. 2002: (With Guy Tillim) Amulets and Dreams: war, youth and change in Africa, USA, & Canada. Shooting Resistance, Axis Gallery, New York. 2000: Portrat Afrika, Haus der Kulturen der Welt, Berlin. African Identities Conference, Adelaide University, Australia. 1998: Eye Africa ?? African Photography 1840-1998, international traveling exhibition. 1996: 25 years of Photo-Journalism, U.K.
1993: Images from Africa, Denmark. 1990: (With David Goldblatt & David Lurie), Portfolio Gallery, London. South Africa: Beyond the Barricades, London, Paris, New York. Zabalala Festival, London. 1988: Alternative Museum, New York. Children on the Frontline Conference, Harare, Zimbabwe. 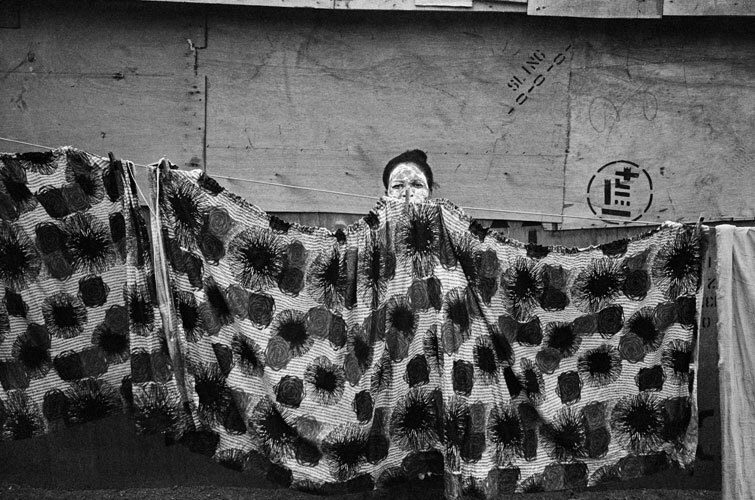 1987: Beyond the Hidden Camera, Culture in Another South Africa Festival, Amsterdam. 1985: South Africa: Cordoned Heart, International Centre for Photography, New York, & the Photographers Gallery, London, international tour. 1984: Nichts Wird Uns Trennen, Frankfort, Germany. 1983: (With Peter Mackenzie), Botswana National Gallery, Gaborone. Stockholm Culture Centre, Sweden. 1982: Culture and Resistance Conference, Gaborone. Freedom ZA. 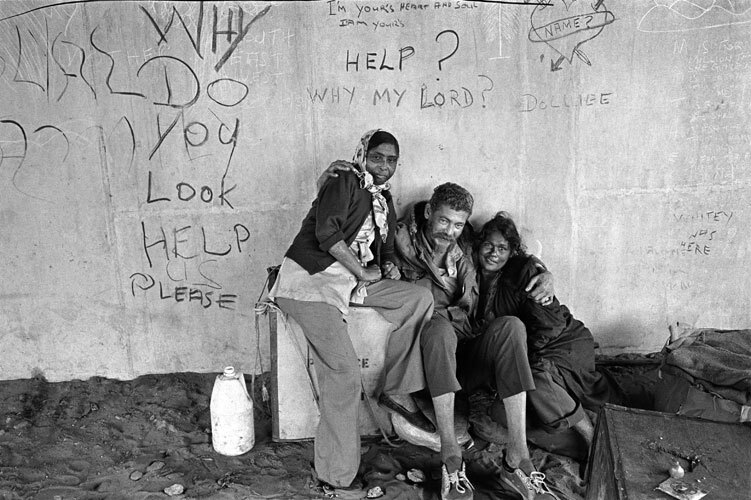 ; Bonani Africa Festival of Photography; Amulets and Dreams; With our own Hands; Children on the Frontline; South Africa: the Cordoned Heart;Staffrider Exhibitions (with Paul Weinberg, 1983 – 1987). Iziko South African National Gallery, Cape Town; Durban Art Gallery; Killie Campbell Collections, Durban; National Gallery of Botswana, Gaborone; University of Cape Town. 1996: Awarded scholarship to travel in India by Indian Government. 1995: Awarded scholarship to travel and photograph in Denmark by Danish government. 1993: First prize, Images of Africa, African Arts Festival, Denmark. 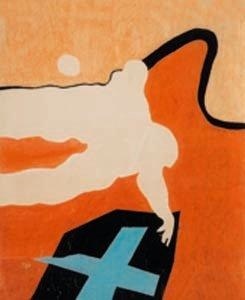 1979: First prize, The Sir Ernest Oppenheimer Memorial Award, Art South Africa Today. 1968: Annual award, Natal Society of Arts. 1965: The Sir Basil Schonland Award, Art South Africa Today. 1990-1994: Participated in numerous conferences related to his activity in the ANC. 1970-1990: Participated in activities of the Natal Indian Congress, and United Democratic Front. 1988- 1996 Active in cultural workers movement, including Cultural Workers Congress, Federation of South African Cultural Organisations, Arts & Culture Development Network, and Ikapa Arts Trust. 1982-? ?1989: Founder member of Afrapix photographers collective. 1972-1976: Active in the Trade Union movement.